A sequel, Aashiqui 2, with a completely new theme, directed by Mohit Suri, featuring with Aditya Roy Kapur and Shraddha Kapoor, was released on 26 April 2013. 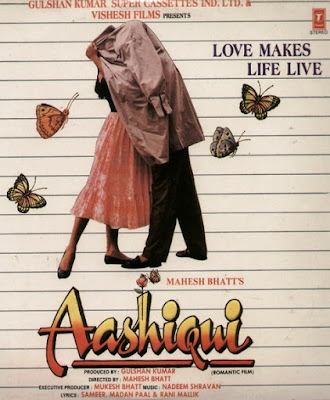 Rakesh Bandhu of Planet Bollywood gave the album 9 stars saying, "Aashiqui was a success in its own right. It is truly a beautiful collection of compositions by the Nadeem-Shravan. The soundtrack album has been rated the 4th best ever by Planet Bollywood on their "100 Greatest Bollywood Soundtracks". All songs in the movie album composed by Nadeem-Shravan, songs sung by Kumar Sanu, Anuradha Paudwal, Udit Narayan & Nitin Mukesh, and lyrics writers are Sameer, Rani Malik & Madan Pal. And Sameer won Filmfare Award 1991 for Best Lyricist for "Nazar Ke Saamne".